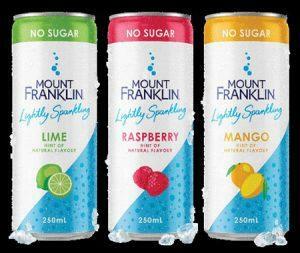 Water brand Mount Franklin is extending its Lightly Sparkling offer in time for summer, with the launch of Mount Franklin Lightly Sparkling Hint of Natural Flavours in a 250ml can. The Lightly Sparkling can range comprises Hint of Lime, Hint of Raspberry and Hint of Mango flavours, all claimed to contain no sugar, preservatives or sweeteners. 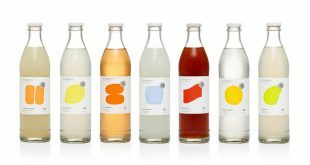 The flavours selected are said to have strong consumer appeal, and the slim 250ml can is promoted as helping to retain the light bubbles, chilling fast and staying cool, “offering a refreshing sensorial experience to encourage trial and drive repeat purchase”. “The cans are very distinctive and will be noticed by anyone seeking great-tasting and refreshing beverages,” Mount Franklin Senior Brand Manager Kara Morrow said. 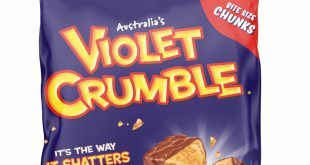 For retailers, the pack size and format represent a new opportunity in this category, she adds, offering a great-tasting range of products at an affordable price point. 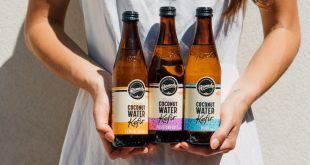 The sparkling-water market offers plenty of room to grow, with almost one in two people surveyed not having tried it in the previous 12 months, according to Colmar Brunton online research in Australia from May 2016. 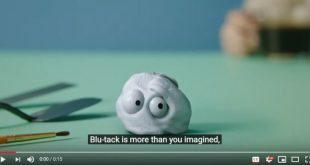 The can launch is supported by a multi-channel marketing campaign encouraging consumers to ‘Crack open the NEW taste, Australiahhhhh’. Radio hosts Hamish and Andy will front a campaign across the Hit Network of radio stations, and Mount Franklin will stage a nationwide sampling program at key summer hot spots and activate through out-of-home and in-store touchpoints.